Product prices and availability are accurate as of 2019-04-12 17:19:30 EDT and are subject to change. Any price and availability information displayed on http://www.amazon.com/ at the time of purchase will apply to the purchase of this product. 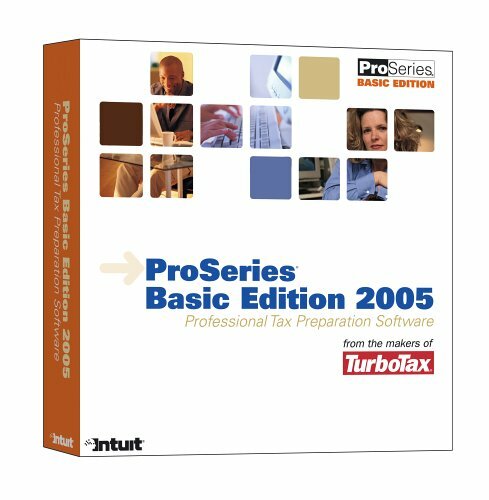 From the makers of TurboTax, ProSeries Basic makes it easy for small tax prep businesses to step up to pro-quality software. Guided workflow and simple checklists deliver professional output without unnecessary bells and whistles. Get the dependable performance you’ve come to expect from Intuit — plus instant access to Help, easy e-file capabilities, and powerful error-catching diagnostics. ProSeries Basic makes it easier than ever to grow your tax prep business with client-pleasing results. Delivers all the tools required by small tax businesses — without the added cost of unnecessary extras. Designed specifically for preparing 1040 returns, and Schedule C for small businesses.